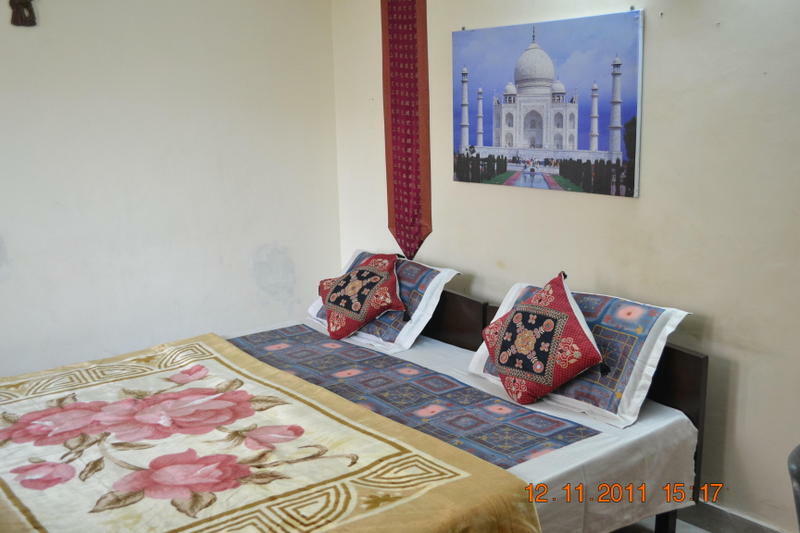 Situated in the North West District Of Delhi, Mystique Moments Bed and Breakfast is the place to stay if you want to explore the real Delhi and catch the spirit of Delhi and that too in peace. Pitampura is not a tourist area, so there are no touts and unscrupulous traders pulling and pushing you to buy something that you dont need. If you decide to venture into the Market, you will be paying the price locals pay and not inflated bills. 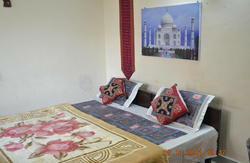 Close to the Metro station, markets, malls, public transport, restaurants, Mystique Moments Bed and Breakfast is cheaper than the Cheap and Budget Delhi Hotels but scores in hospitality and service. Mystique Moments Bed and Breakfast is a small family run hostel owned by a Doctor and Engineer couple..Your friendly hosts, Mrs and Dr C.M.Malik are a widely traveled couple and love to have company. We will try and help you organize your sight seeing trips and excursions to nearby tourist attractions and assist you in bookings tours to other cities like Agra, Jaipur, Udaipur, Rishikesh, Manali, etc.whether you want to hire a driver and a car or travel by Train/Bus. Mystique Moments has a unique style and combines contemporary design with the charm and intimacy of a private dwelling unit, ideal for tourists who wish to explore the culture of India.. We have well appointed, spotlessly clean, air-conditioned rooms, with attached private and exclusive bathrooms with western style toilets, fully made up beds with very comfortable mattresses, wardrobes for your apparel and valuables and fridges in the rooms. 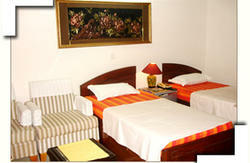 Luxurious Dining Room & lounge have been provided too. FREE All you can eat continental breakfast (Indian breakfast available on request) with fresh bread (White bread and Brown Bread) ,Choice of varieties of Jam in Indian flavours like Mixed Fruit and Pineapple, Processed butter, seasonal fruit, eggs, cookies and choice of Indian Masala (Herbal) Tea or coffee. Juices/cold drinks available on payment. FREE Unlimited Internet access with a WiFi Broadband connection, FREE 24 hours Coffee, Tea, Purified Water, FREE Clean and fresh Towels and Bed Linen. We have Air Conditioners in Deluxe rooms, Air Coolers in Dorm, 24 Hour running hot water in spotless bathrooms / showers , Locker in every room. Luggage storage available for FREE. Sat Sky TV with international channels in rooms. If it is your first visit to Delhi, please use our Airport Pickup service as it becomes difficult to locate any address in Delhi at night even by the locals. Our car drivers will carry a placard with your name to locate you at the airport and a Mobile Phone to let you talk to us. Mystique Moments is easily accessible from IGI Airport : Take the Ring Road till Britannia Chowk, take a left turn and continue 1.5 Kms, take a right turn at Mahindra Park. Mystique Moments is opposite MCD Parking and Gurudwara Bhailalo.on the main Saraswati Vihar Road at first floor of BM Stone Building A Taxi is the best option. If it is your first visit to Delhi, we suggest you use our economical.Airport Pick up faculity as it can be cumbersome locating any address in Delhi specially at night time. From New Delhi Railway Station / Cannaught Place Please take the Metro Yellow Line direction Jahangirpuri till Kashmiri gate station, change to Metro Redline, direction Rithala. Get down at Pitampura Station and take Metrobus M19 direction West Enclave, it will drop you at our doorstep in Ranibagh. Or take a cycle rickshaw for twenty rupees to our place.